It’s time to take a look at all of the main new Blu-ray releases out in December 2017 from both film and television. There are plenty of classic films along with many recent film offerings to consider. 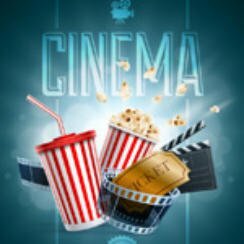 Are you are still looking for Christmas presents and have a movie lover in the family maybe one of these new releases will make the perfect gift. So let’s get started with our look at the new US Blu-ray Releases December 2017. There’s not too many releases out this week in United States but these are the highlights, American Assassin (2017), animated fun with Despicable Me 3 (2017) and horror with Silent Night, Deadly Night (1984) & Severin Films have The Amicus Collection. Looking at television series sees the release of Twin Peaks: A Limited Event Series and South Park seasons 1-5 (individually). Moving to December 12 see’s the following films making their way on to Blu-ray, Detroit (2017) directed by Kathryn Bigelow, drama with Home Again (2017) & action comedy in Kingsman: The Golden Circle (2017). But wait there’s more how about some comedy with Jack Lemon in The Apartment (1960). Switching to television show sees Game of Thrones: Season 7 release or if you want all seven seasons they is also a boxset. Next up is the excellent British televison crime drama George Gently: Series 8. The big release for December 19 is the Christopher Nolan war movie Dunkirk (2017) followed by The Lego Ninjago Movie (2017), American Gothic (1988), mother! (2017) starring Jennifer Lawrence, Tomorrow is Forever (1946) and finally Stronger (2017) starring Jake Gyllenhaal. If you like Arnold Schwarzenegger then you may be waiting for action comedy Killing Gunther (2017) which releases on December 26. Other new releases include the awful remake of Flatliners (2017), Jeepers Creepers 3 (2017), Mayhem (2017) and The Mountain Between Us (2017) starring Idris Elba & Kate Winslet. There are some other releases out over the month of December, you can find the full list on our Release Dates page. That concludes our look at the upcoming US Blu-ray releases December 2017 and just about wraps up the new releases for year but don’t worry there wil be plenty more quality titles coming to Blu-ray in 2018.